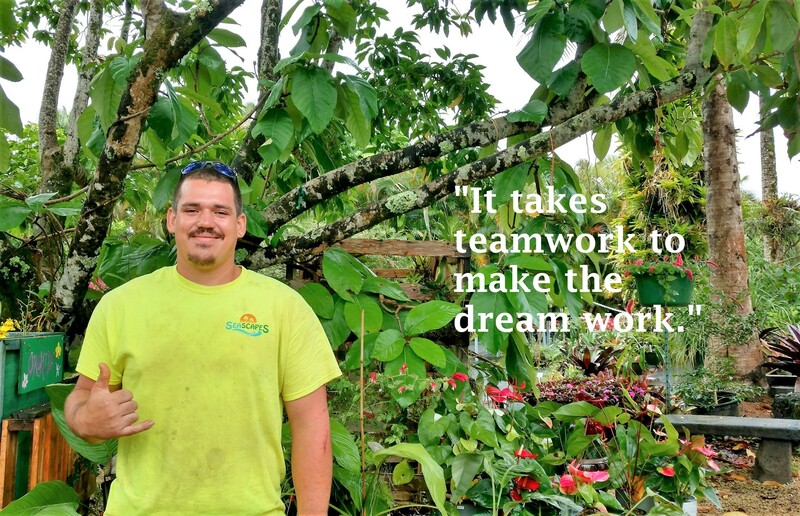 Meet The Team - Kauai Seascapes Nursery, Inc.
Kauai Seascapes Nursery has always stood out, not only as a provider of high quality plants, but also of high quality people. 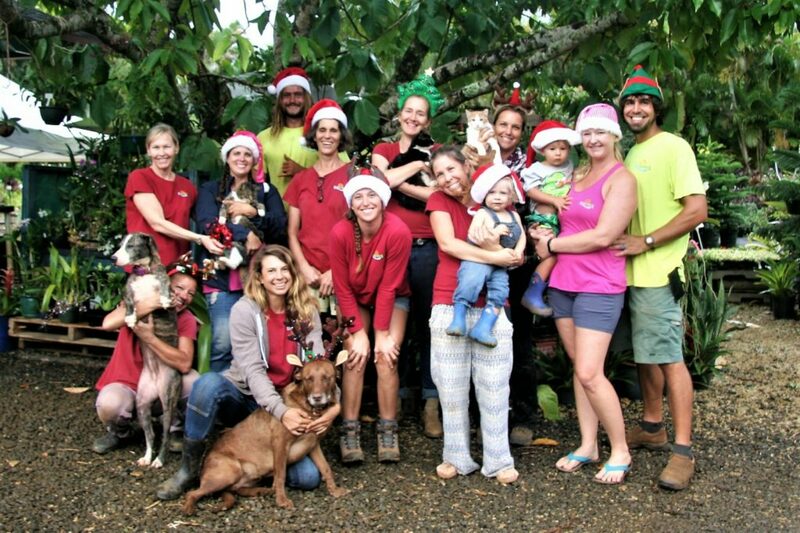 The friendly and knowledgable individuals that make up the staff at Kauai Seascapes Nursery are an exceptional bunch. Would you like to know who they are? Serina manages all aspects of the nursery. She takes care of everything administrative and does it with a smile. Her tender toned voice and kind nature wins her the praise of her employees. They sense her genuine concern for their welfare and respect how she organizes the nursery. “Life happens when you’re busy making other plans,” is one of her favorite mottos. 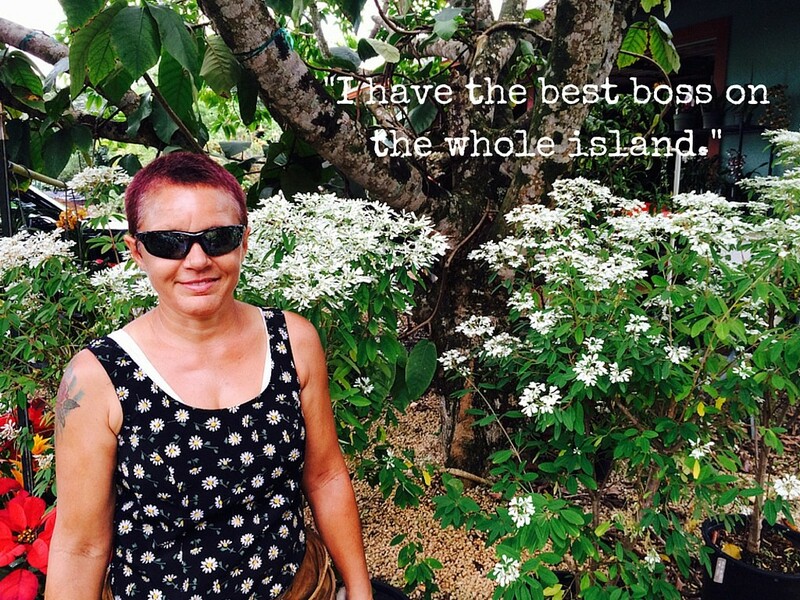 She never anticipated the move back to Kauai, nor the responsibility of managing the family business. But when her father died 5 years ago she moved back to help her mom and the business continue. She is so happy she did and is even more overjoyed to be raising her son on the same island she called home as a child. She remembers building forts with her sister amongst all the plants when her parents were just starting the business. Potting and propagating plants are some of her favorite activities, although she admits she hasn’t had the pleasure of doing that in awhile. Her new favorite pursuit has been looking for new and exotic plants to bring in that may not be growing here yet but that would be a healthy and non invasive addition to our local landscape. Originally from the Seattle, Washington area, Steve met Serina on a skiing trip in Portland. His group of friends met her group of friends, he got a phone number and the rest is history. He moved back to Kauai 4½ years ago with Serina. They’ve since been married, have a sweet baby boy and are taking care of business. With a background in engineering he takes pride in being able to fix whatever breaks. 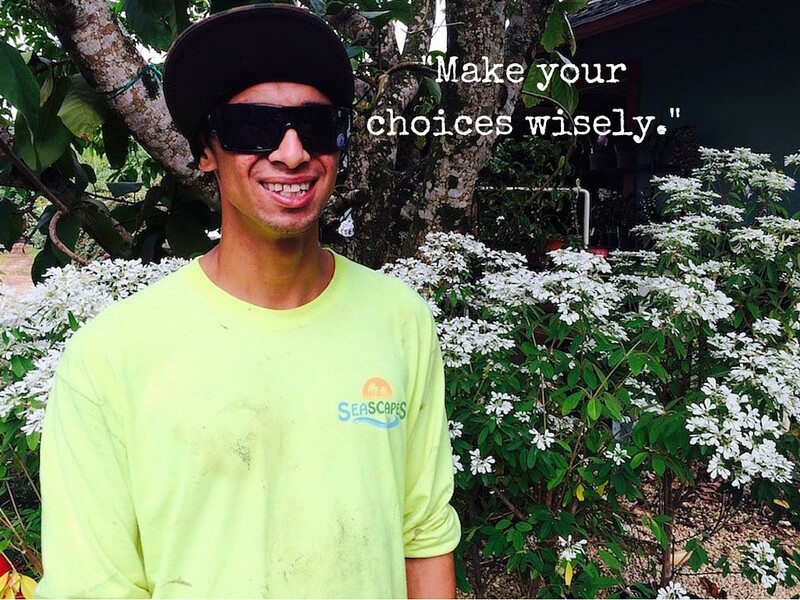 He also works with the landscaping crew with design, installations, and irrigation. He really enjoys mental mapping and designing the landscape to make it beautiful and then getting his hands dirty and making the dream come to life. Adrian left the large oak trees of Maryland for the large palm trees of Kauai 23 years ago. For 15 of those 23 years she’s been working at the nursery! She loves working for the Roushes and claims they are some of the kindest, most clear headed people she knows. 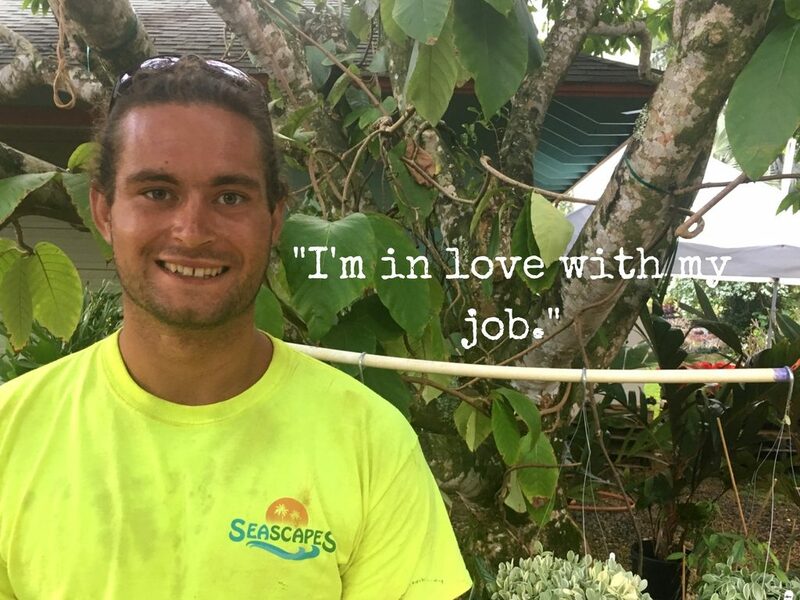 He enjoys working at Seascapes because it is a “good, well organized nursery.” Ama, you da man! Maya was born in Japan and grew up in Israel. She studied Environmental Science and Anthropology for 5 years in South Africa. 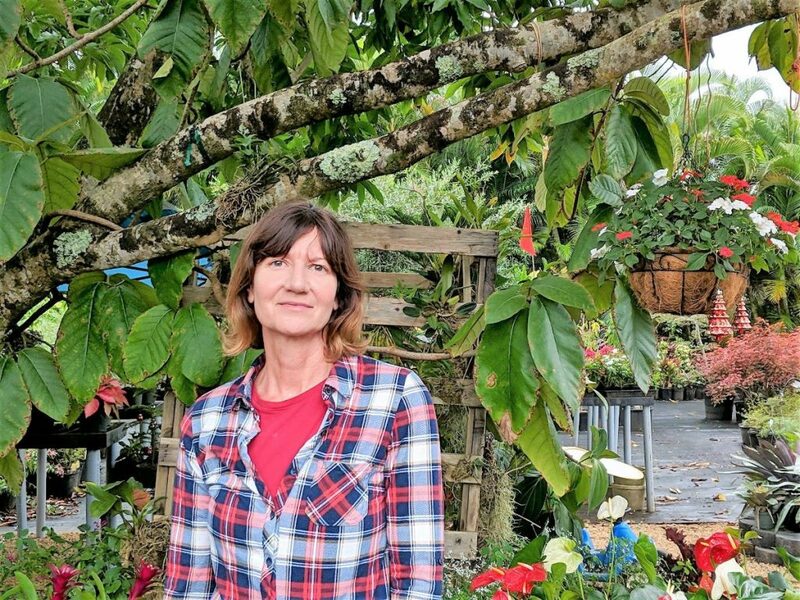 Maya has a certificate in Permaculture and she wanted to work here at the nursery as she is interested in learning more about edible landscaping and organic gardening. Her favorite job duty is going out to the job sites for landscaping projects and seeing the progress from start to finish. Outside of work, Maya spends a lot of time surfing. Say hello to hard-working, well-traveled Maya on your next visit to the nursery! Claudia moved here from Oahu to Kauai in June of 2017. Claudia’s husband is originally from Kauai and they wanted to be near family. Prior to working at the nursery, Claudia was used to working in a sterile environment as a medical secretary for many years. Claudia is loving being able to work outdoors and get dirty. 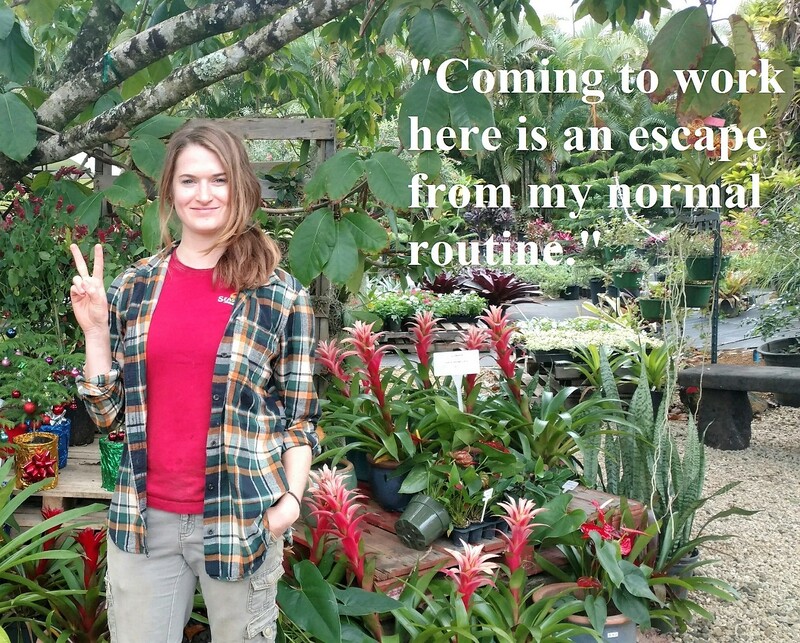 This is her first job working with plants and she says she feels fortunate to be working here as she considers Kauai Seascapes Nursery a “world-class” nursery. She is learning everything from scratch and loving it! Out of all her job duties here, Claudia is most excited to learn more about propagation. Holly came to Seascapes with a wealth of experience from working at different Botanical Gardens across the state. She landed at Seascapes because she loves the quality of the plants and people here. You’ll find her up at the front helping in the sales department. Holly is excited to meet and greet you! With priorities changing at the nursery everyday, Jodi works to keep her eyes open and helps keep things running smoothly. When she’s got a spare moment you’ll find her at the plant propagation table. This globe trotter settled on Kauai 20 years ago. Up until that time she lived in different locations in Europe and Asia. 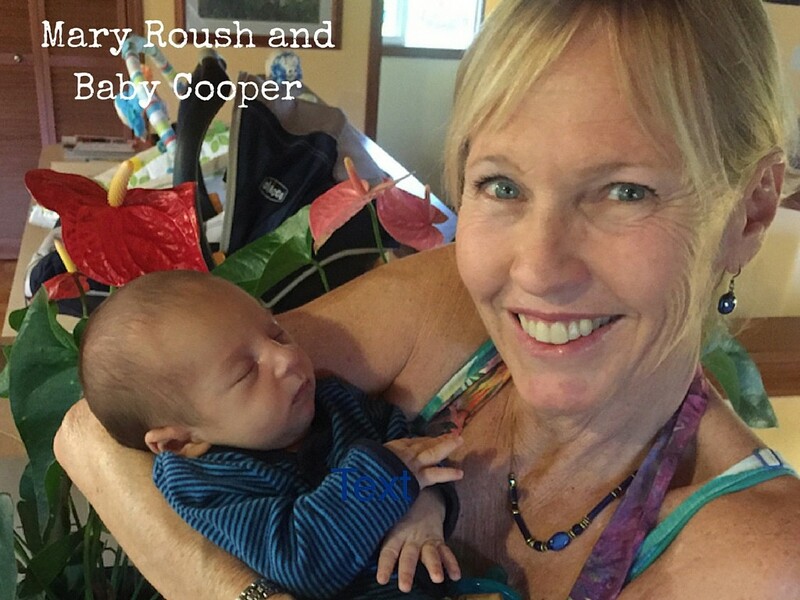 Raising her family on Kauai was her inspiration for settling here. Karen has an affinity for plants. She carries with her an extensive knowledge of their healing properties. She was even a guest writer on our past blog post, Medicinal Plants You Can Grow and Use At Home. She loves working with the “awesome plants” at the nursery, loves working for Serina and Steve, and claims that other nurseries “just can’t compare.” If you stop by you will find her potting, weeding, or pruning. Originally from Michigan, Roxanne visited 30 other states until she figured out that Hawaii was the best. She moved here only a month and a half after Hurricane Iniki hit in 1992. She finally found a great job in the summer of 2008 and was hired by Steve Roush at Seascapes. Roxanne loves being outside and working with an easy going, laid back crew. Serina is the “best boss” she’s ever had, ever. Roxannes favorite thing to do? Drive the Kubota. Sam is your go-to man. He handles a lot of duties. Just a few of his favorite include working with the landscaping and installation crew, nursery property maintenance, getting dirt and wood chips, and pulling plants for job sites. This city slicker originally from LA found his home on Kauai 11 years ago. He’s graced the Seascapes grounds for 3½ years. 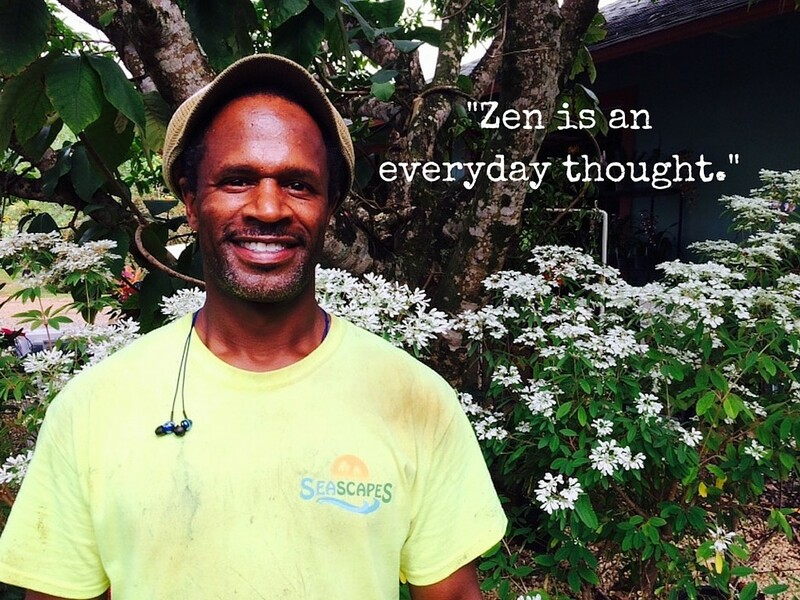 His son Zen is a tremendous source of inspiration for him. We feel lucky to have Sam on our team. Originally from far, far away in Columbus Ohio, Spencer found himself on Kauai thanks to his Uncle. His Uncle needed help with landscape maintenance at Common Ground and 2 other properties. Answering his request was a “no brainer” and Spencer got on a plane as soon as he could. He found his way to Seascapes a few months ago and it has been a great experience ever since. “Working here has really shone me how much I love this work, how much I love being outside.” Having grown up on a farm it’s no surprise that he loves getting in the ground and messing in the dirt. This born and raised Kauai girl has been at Seascapes for almost a year now. 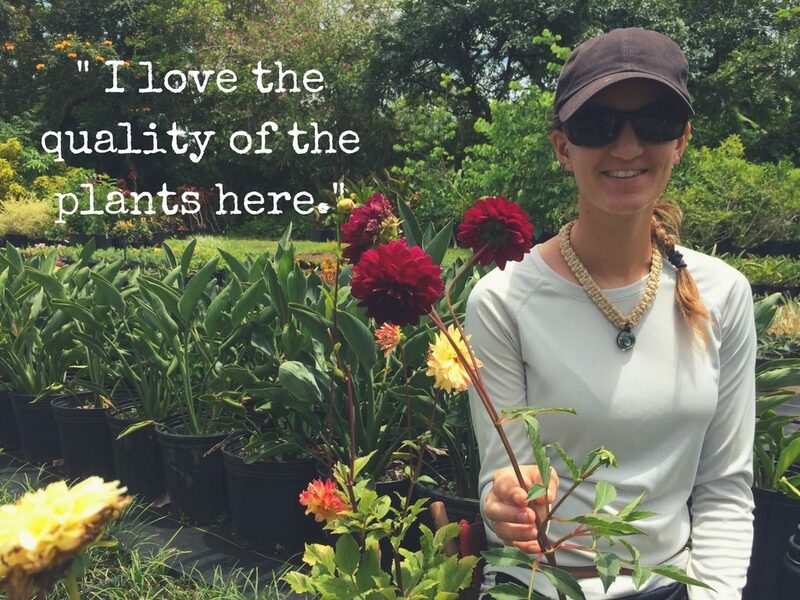 She loves working here because it gives her an opportunity to learn about all the different plants. 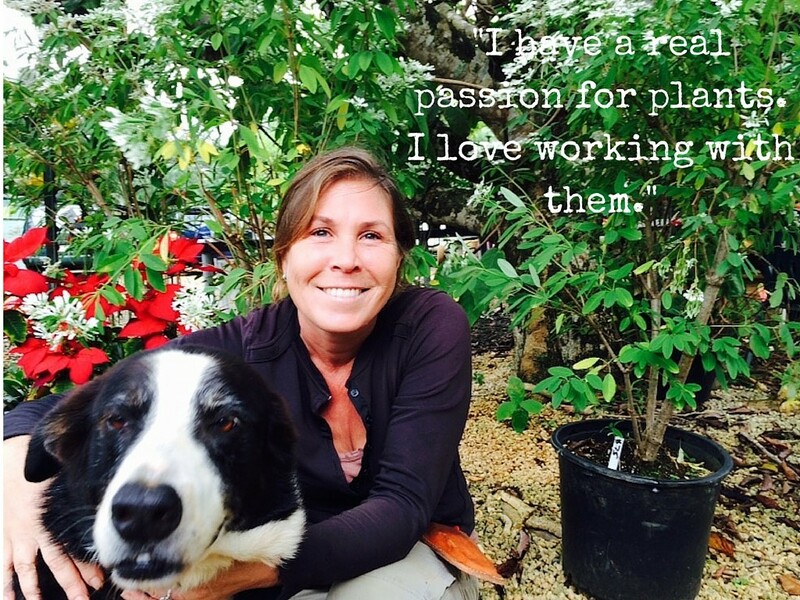 She especially loves air layering plants and grafting trees. Potting up edibles and bringing in more edibles like fruit trees and perennial veggies is also fun for her. 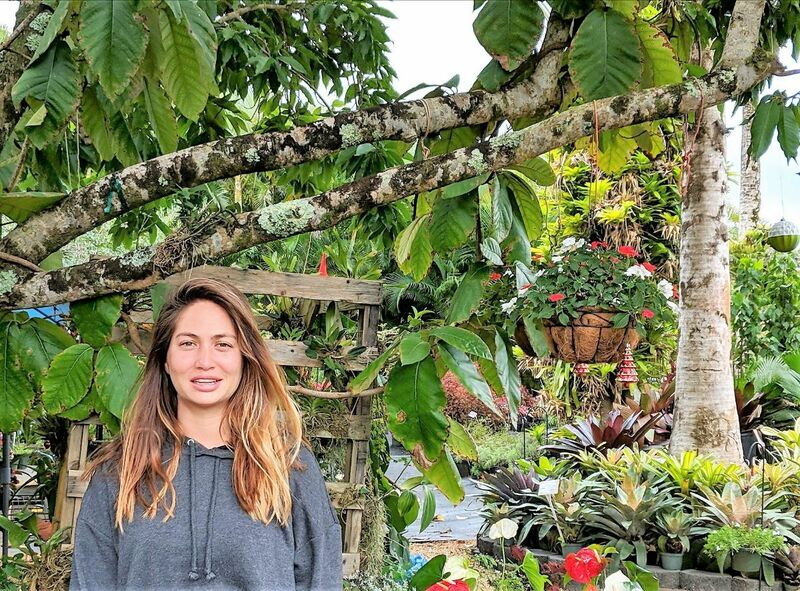 Originally from Colorado Springs, Colorado, Abigail moved to Kauai in May 2018. Abigail originally came to visit her mom and to recover from a broken foot that wasn’t healing very quickly. Kauai’s weather did her foot a lot of good! After 8 months of incomplete healing in that colder mainland weather, it only took a few weeks after coming to Kauai for her foot to make a complete recovery! She decided to stay on Kauai for more than just her recovery time. She came to us here at the nursery through another employee, Chloe, who was her first neighbor here. 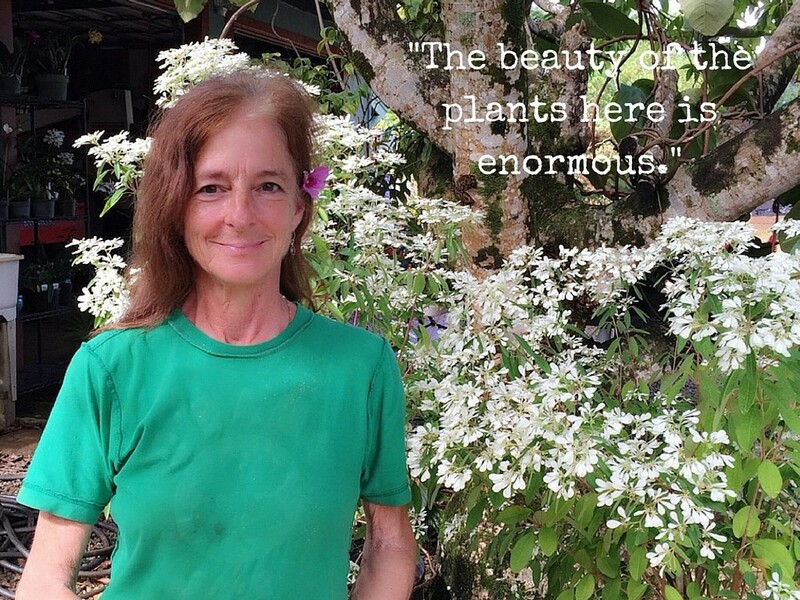 Abigail has a background with plants as she volunteered on permaculture farms and worked in landscaping services for several years. Her favorite duty at the nursery is propagation. Outside of work at the nursery, she is a yoga and meditation instructor. She loves to cook and study food and nature as medicine. 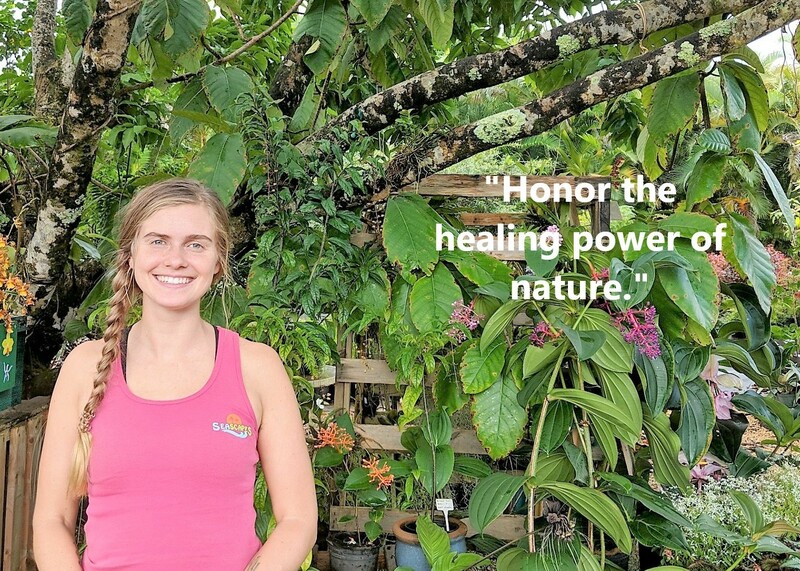 We always ask our new employees what quote they would like associated with them, and she was quick to say: “Honor the healing power of nature.” Welcome to the team, Abigail! We can tell your calm presence is a great addition to our team at the nursery! 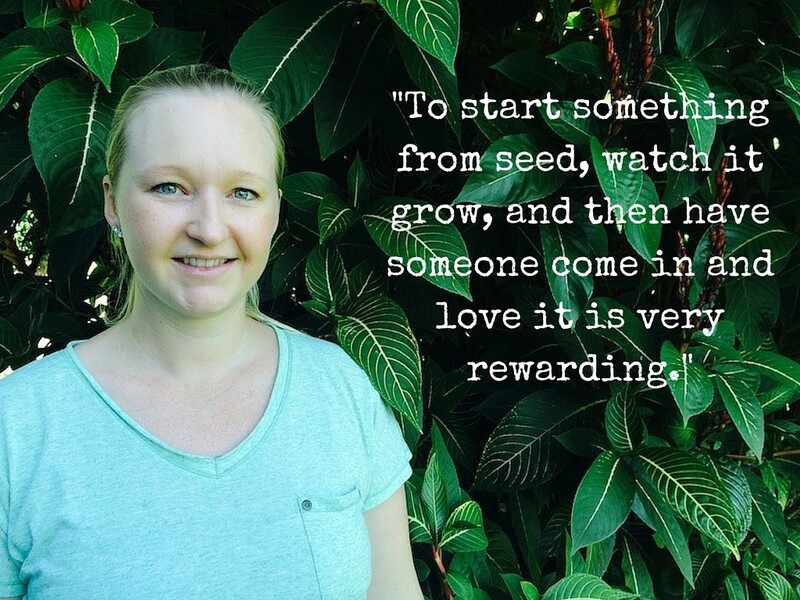 A recent arrival to Kauai, Emily joined Seascapes because she enjoys working outside. 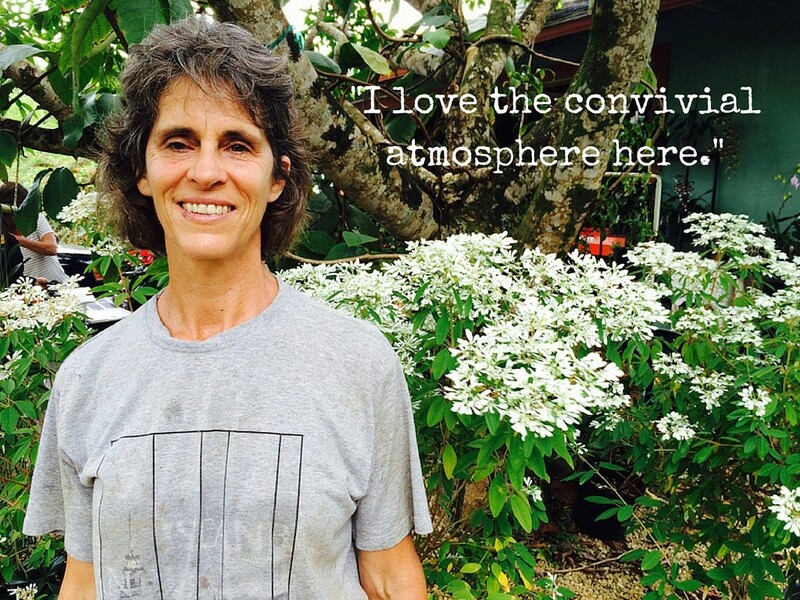 A yoga enthusiast, she was drawn to Kauai to develop her practice further. In addition to being a yoga instructor, Emily is also a private chef. 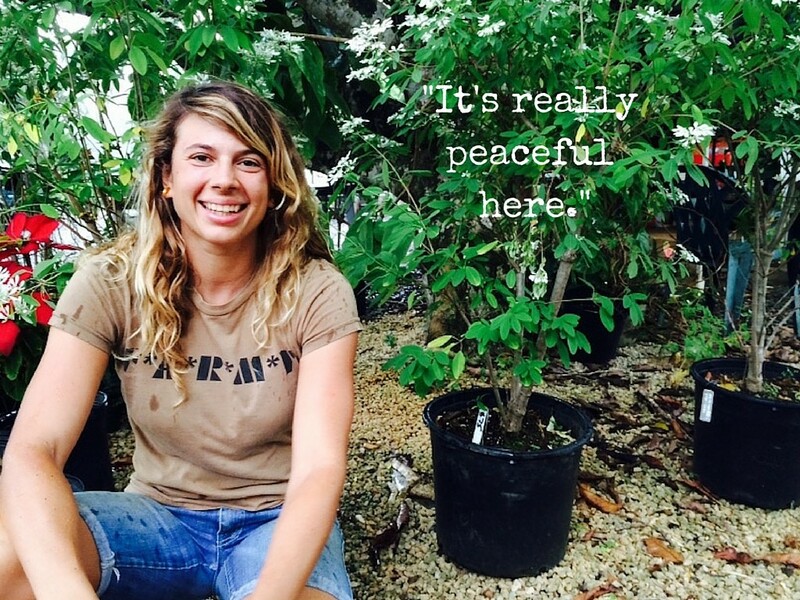 You can find Emily at the nursery helping to take care of all our beautiful plants! This born-and-raised Kauai man is native to Anahola. Mike joined the team a few months ago and enjoys the team atmosphere here at the nursery. 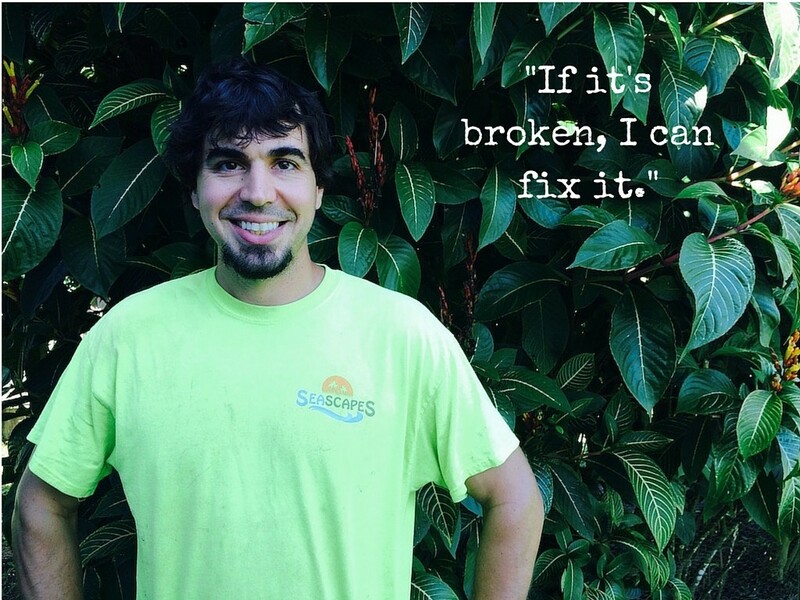 Coming from a landscape maintenance background, Mike is really enjoying being a part of the installation crew and seeing the transformation that happens as a result of all his, and the rest of the crew’s, hard work. In his time away from the nursery, Mike spends his time fishing, fishing, fishing, and sometimes, motorcycle-riding. His chihuahua, Pohaku, accompanies him on all his fishing excursions on his boat. We hope you enjoyed learning about our amazing team. Be sure to stop by the nursery and meet them in person! A Hui Ho! What a wonderful group of individuals. I had the pleasure of meeting Adrian just a few nights ago at the Hospice candle lighting ceremony at Wai’oli Church. She told me she was there to honor the memory of Steve Roush, the creator of the nursery. It’s a lovely nursery with all these dedicated employees doing what they enjoy! Thank you for the fantastic article ! Awesome team! Wish you all a Merry Christmas and a joyful holidays. Great team! We miss all your happy faces. Merry Christmas!